Arda Turan had been the holder of the prestigious No 7 shirt, also previously worn by the likes of Luis Figo, David Villa and Henrik Larsson, but his loan move to Istanbul Basaksehir has freed it up. 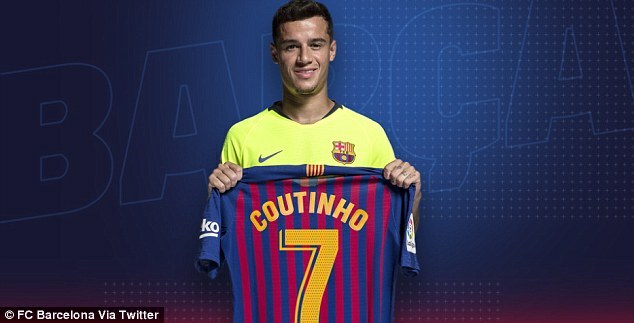 Coutinho last wore the No 7 shirt during his final season at Inter Milan before joining Liverpool in 2013. He wore the No 10 shirt with distinction at Anfield. Luis Figo is the most famous full-time wearer of Barca’s coveted No 7 shirt.